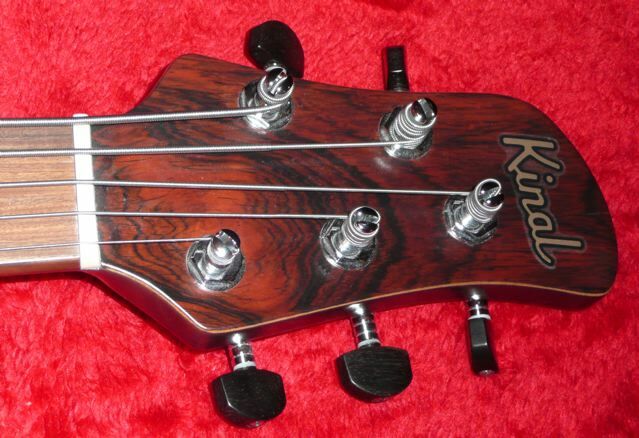 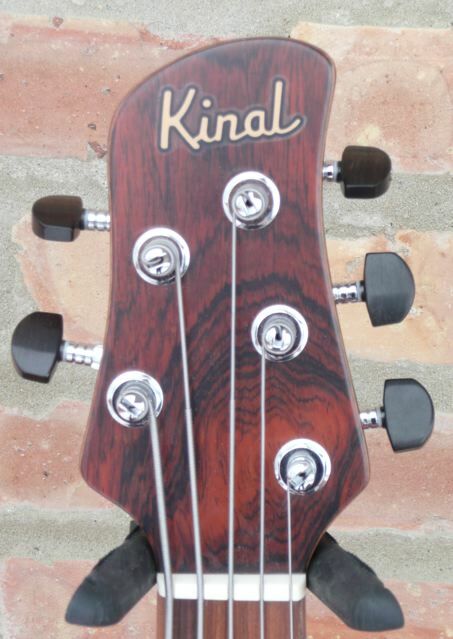 This time we’ll try a Kompact 5 stringer , tuned EADGC. 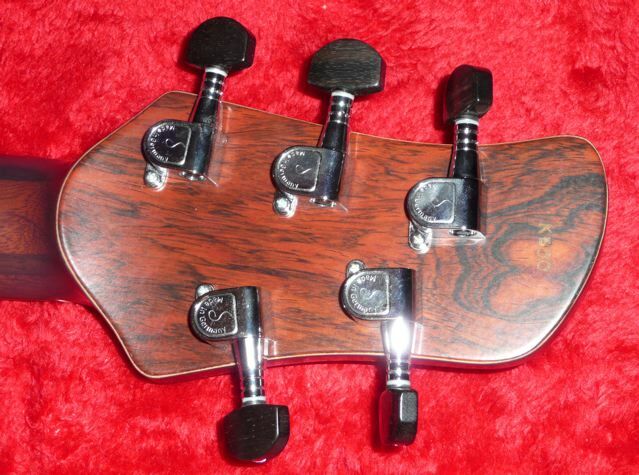 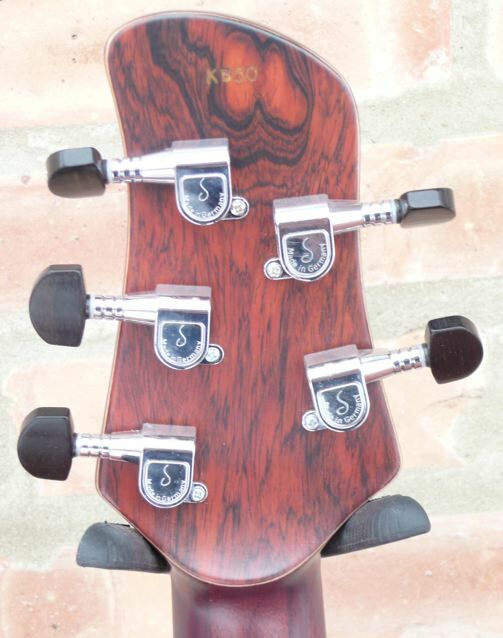 30″ scale neck , 5 piece Mahogany , with a figured Rosewood fretboard. The body is Mahogany and the top is Spruce. 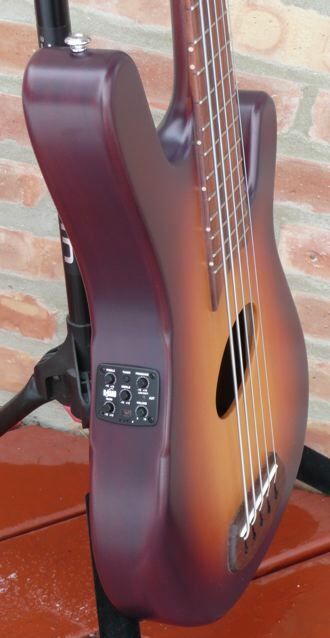 Pickup and preamp are by B Band. 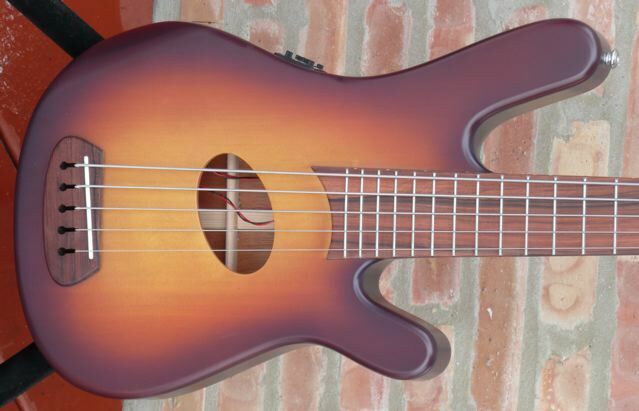 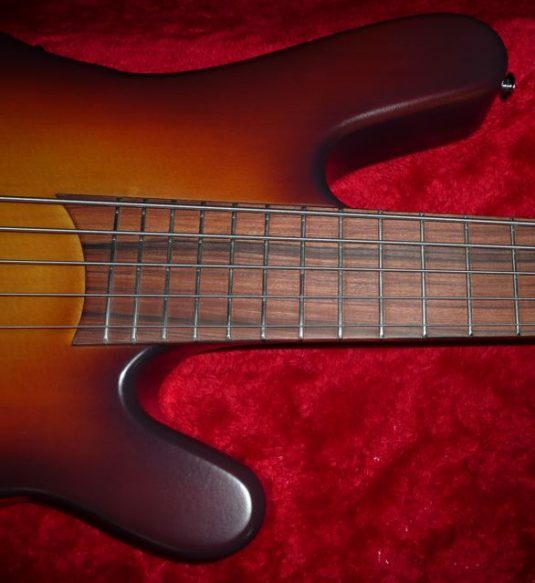 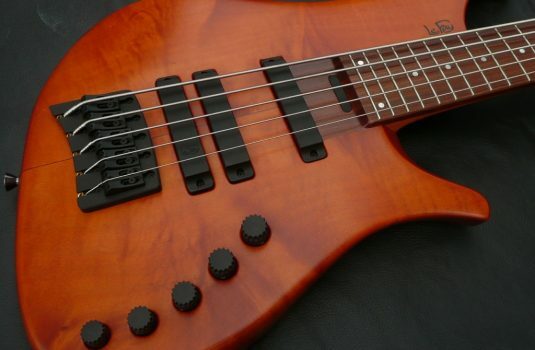 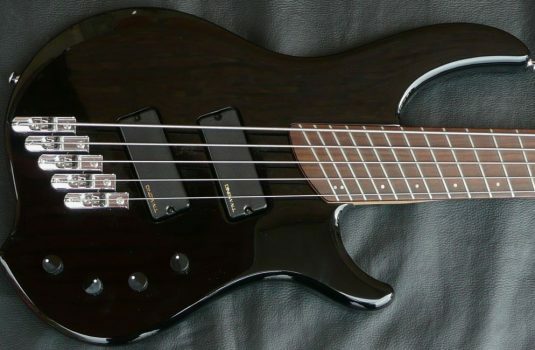 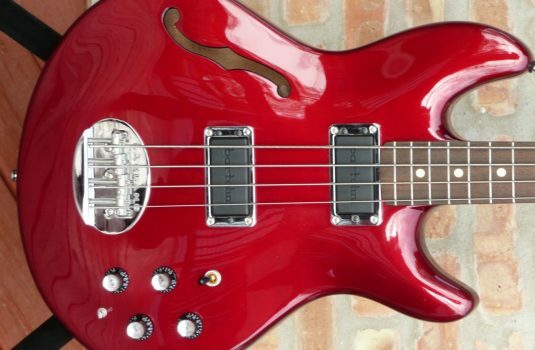 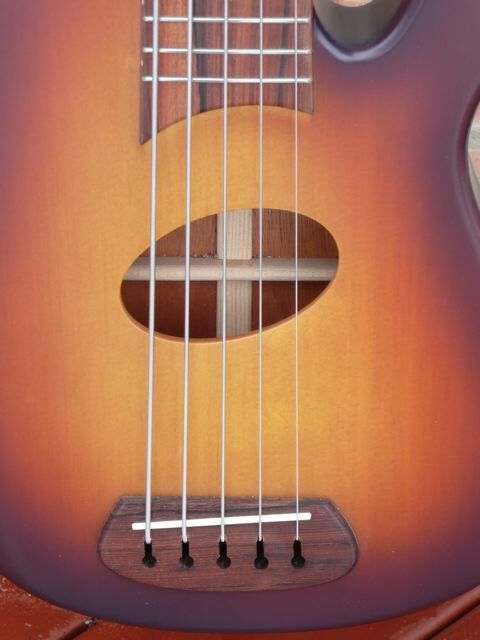 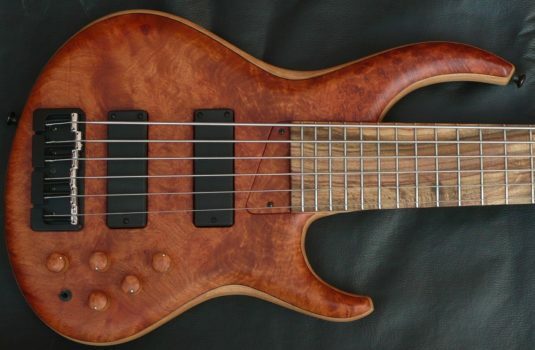 This bass works , the EADGC tuning is a gas.